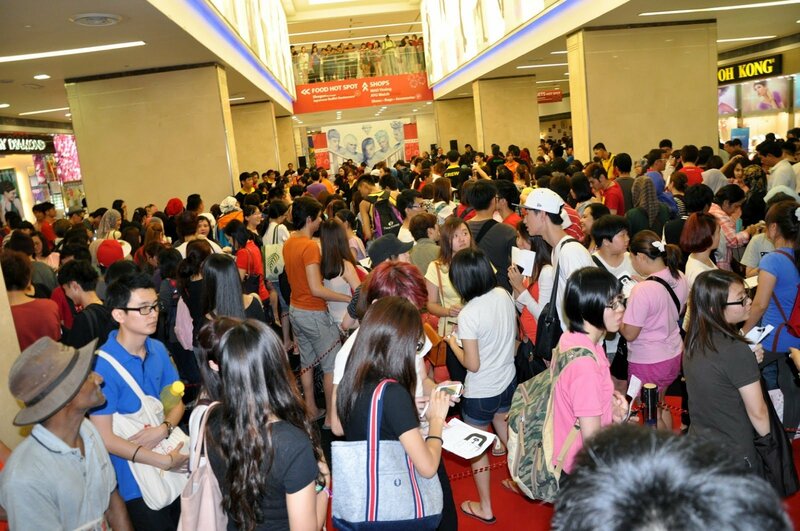 Record-breaking 3,500 fans queue for Big Bang Alive Galaxy Tour 2012 Malaysia ticket launch – Tickets 95% sold out! 28 July 2012 (Kuala Lumpur, Malaysia) – Proving the massive popularity of Big Bang, a record-breaking crowd of an estimated 3,500 started queuing for their first-ever concert in Malaysia – Big Bang Alive Galaxy Tour 2012 – from as early as 22 hours before tickets launched for sale at 10.30am on the morning of 28th July at Fahrenheit88. More than 95% of the total 12,000 tickets were sold out, with only Category 5-8 tickets currently available for sale (RM 288, RM 198, RM 188, RM 98). A total of over 600 tickets in the highest tier category (RM 688) sold out the quickest in a mere 30 minutes, while Category 2 (RM 588), Category 3 (RM 488) and Category 4 (RM 388) sold out within an hour. A total of over 11,000 tickets were sold on 28th July, making this the largest number of tickets sold within a day for any K-Pop concert in Malaysia. 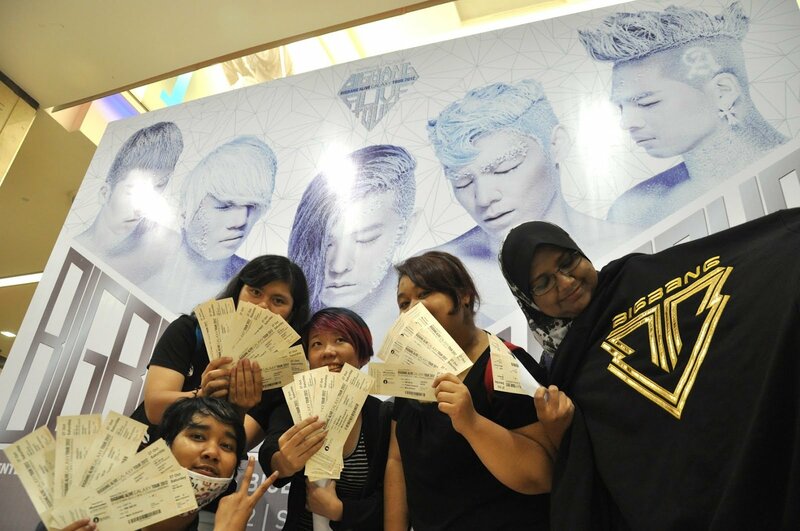 “We expected a huge turnout as we know the huge pull Big Bang has in Malaysia, but it was the community spirit of all the fans that touched us, as they helped each other out in the queue and on Twitter and Facebook. It was also very beautiful to see fans of all ages, races and demographics come together, proving that music is truly a universal language. We are certain that the show will not disappoint and will promise fans a great concert on 27 October”, said Wendy Ng, Executive Producer of Running Into The Sun, the organizer of the concert. Big Bang Alive Galaxy Tour 2012 Malaysia is set to be the concert of the year with a massive RM 4 million production show, in a one-night only conert at Stadium Merdeka on 27 October 2012. Big Bang, consisting of five K-pop heroes G-Dragon, Taeyang, T.O.P, Seungri and Daesung, will perform the Malaysia leg of the Big Bang Alive Galaxy Tour 2012 in their very first concert in Malaysia. 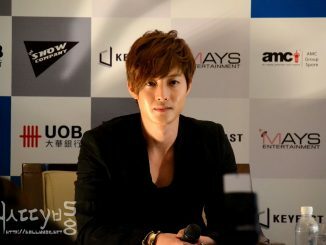 This concert will be their first outdoor concert across Asia. Big Bang Alive Galaxy Tour 2012 Malaysia is proudly sponsored by Samsung Galaxy, presented by YG Entertainment and Live Nation, and organized by Running Into The Sun with official partner PMP.